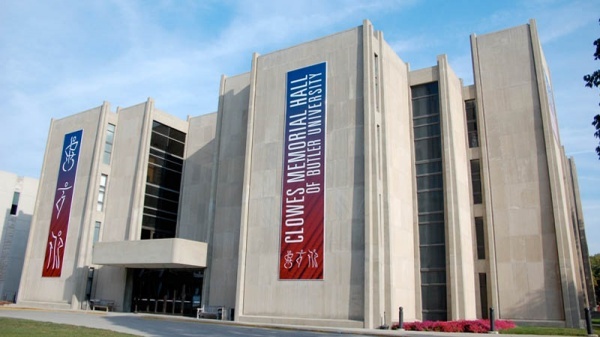 Along with Clowes Presents and the Education program, Clowes also is the home of resident companies such as the Indianapolis Opera, JCFA’s Music at Butler and the Butler Ballet. Other great organizations such as Broadway in Indianapolis, Music For All (Bands of America) and Butler’s Visiting Writers Series, Diversity Lecture Series and Religion Seminars all use Clowes's facility. Being on the beautiful campus of Butler University, patrons of the arts not only enjoy incredible live performance, but the aesthetic beauty of the campus, as well as the close proximity to downtown Indianapolis and the Broad Ripple area. 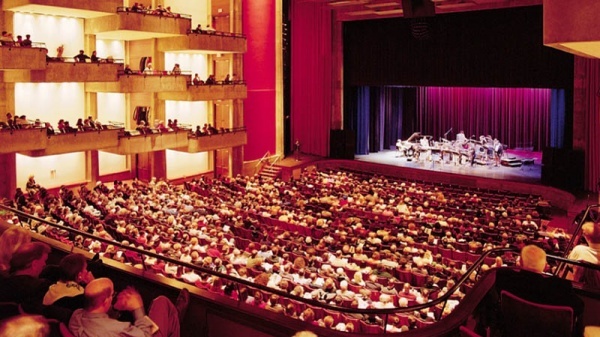 Whether it’s modern dance, international music, opera or musicals, Clowes Memorial Hall proudly maintains the wants and wishes of when it was built in 1963. All event parking is available in the new parking garage facility, located in the 4700 block of Sunset Avenue, between 46th and 49th Streets. Motorist access to the 1,040-space garage is available from Sunset Avenue. The Sunset Avenue Parking Garage is open 24 hours a day, with a standard rate structure (listed below), but may be subject to special event parking fees. Accessible parking is located in the east parking lot near Clowes Hall or any available ADA parking spot within the university. Free parking at Clowes is conveniently located on the east side of the building. Additional parking is available at Irwin Library and throughout the Butler campus. These areas are shaded on the map. Accessible parking is located in the east parking lane nearest Clowes. To order accessible seats please call the Clowes Memorial Hall Box Office at (317) 940-6444 or (800) 732-0804. Accessible seats are reserved in each price level and are subject to availability. Ample parking is available in the East Parking Lot. Patrons that have special needs or require accessible seating may purchase tickets by calling (317) 940-6444, or toll-free at (800) 732-0804. Large Print Programs are available at the lobby front desk.